No matter your background, your talents, or your future aspirations, everyone can be a part of Songfest. It is a truly special and unique program. We present here many of the most popular and common ways to get involved. 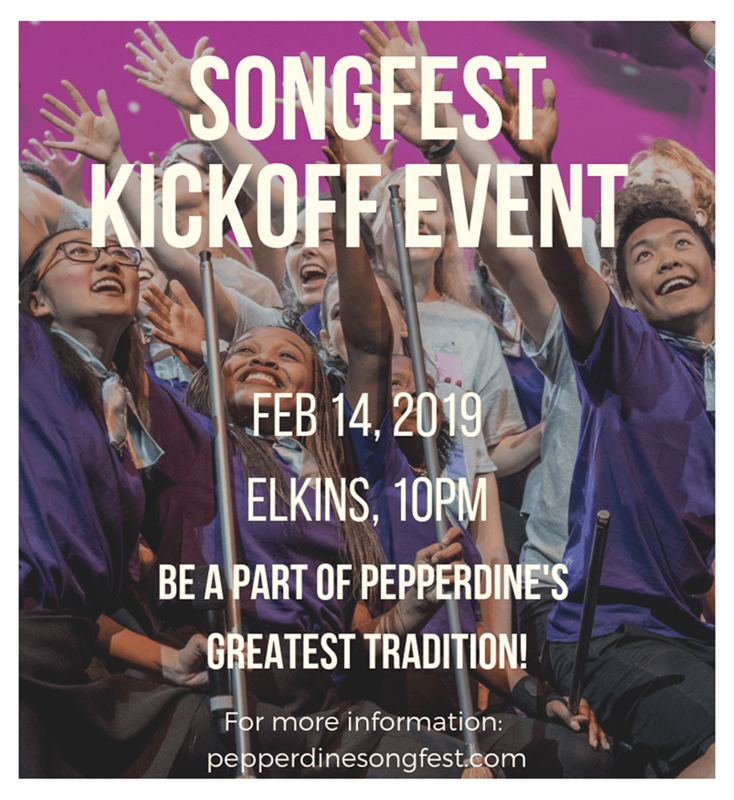 If you have further ideas, suggestions, or questions, please contact us at songfest@pepperdine.edu. While the vast majority of Songfest participants and contributors are students, there are many ways in which non-students can also be involved and/or contribute. In fact, in some years our show even features an (extremely popular) Alumni, Staff, and Faculty performing group. Whether a student or not, contact songfest@pepperdine.edu and we can get you connected with our program in a number of ways. EVERYONE HAS WHAT IT TAKES TO BE A PART OF SONGFEST! This show is a BLAST! Unbridled enthusiasm, family-friendly entertainment.